To round out my journey through 100 years of Great War Films I gave myself three movie options. Was it to be ‘Private Peaceful’, ‘Warhorse’ or ‘Beneath Hill 60’? Having previously seen all three, what I was really asking myself was did I want to finish on a flourish and go out with a bang or did I want to end with a wheezey whimper, a fizzing damp squib, some pissed on chips. 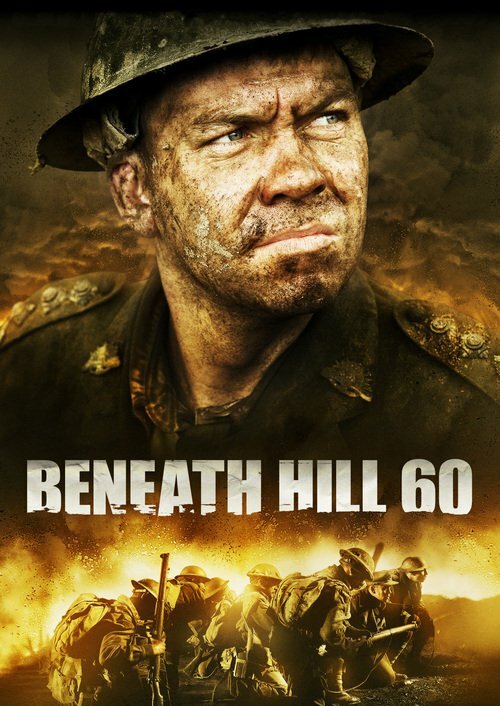 It was a Hobsons’ Choice and so with just the one option in front of me and a desire to finish on a high, Fair Ladies and Gentlemen of internetshire, I give you ‘Beneath Hill 60’ (2010). Wassail! ‘Beneath Hill 60’ is classic Great War Film fodder. Based on the accounts of Captain Oliver Woodward, an Australian Tunneller on the Western Front in late 1916 and through most of 1917 it tells the relatively unknown (if you’ve not read ‘Birdsong’ by Sebastian Faulks) story of the tunnellers of the Great War. The particular story here being the undermining of the hill of the film’s name and its subsequent detonation. It has several elements that are pretty standard Great War Film stuff. The struggles to survive in the trenches, flashbacks to home and the requisite stifled relationship with a lady friend, a young lad struggling with the death and destruction all around him, rigid senior officers with little understanding for the nuances of their plight etc etc. But what we also have are the very particular difficulties of life below ground. The paranoia that the enemy are inches away, the need to carry out all activities in near silence, the constant fear of cave-ins and dying a slow death as your candle gutters and dies along with the last of the oxygen. I scrabbled for air as the candle faltered and held my breath when they listened at the rock face for a clue as to the enemies actions. I was fully engaged and sucked into their stifling, clammy, oppressive world. All of these rock steady motifs mean that what we end up with is a solid film knocked up on next to no budget that is so much more than the sum of its parts. The story elements I mentioned above are never the central point of the film. The only constant element is Woodward. It is his film and that is how it should be. From his arrival in the dugout to meet his team for the first time, through the flashbacks to his falling in love with a girl 10 years his junior to his final actions at zero hour, he is very much the point of this film. But, unlike ‘Passchendaele’ and its array of characters who seem to exist solely to be used as plot devices, ‘Beneath Hill 60’ has a central core of real people. Characters with likes and dislikes who take grumpy pot-shots at each other but who still obviously care for the well-being of the team. There are some bits that should’ve probably been left on the cutting room floor. Woodward starts to cough whilst underground and is shushed to silence by a colleague. He appears on the surface hugging himself and looking unwell, as if coming down with a cold. He falls asleep in a foxhole and is soon rudely awoken to take an important order. The previous symptoms have simply disappeared. What was the point of that, I wonder. These kind of things happen a few times throughout the film. Have they been added to fill a few more minutes to get the film over the two hour mark? Are they elements of realness chucked in just because? I really have no idea but to me they are without point. The camera work in the film is mostly close in and contained within the underground world. The tunnellers, caked in layers of mud, sweat through the grime and exhale their bitter breath into the damp, hot air. 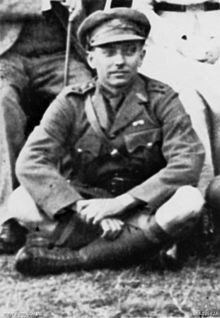 Even on the surface the cramped conditions in dugouts and out in the trenches give no view of the horizon or respite from the constant shelling and drip, drip of the every present rain. Where there are scenes away from the front or back in Australia these are well shot and richly detailed. It is intelligently pieced together and the shoestring budget has probably done them some favours in terms of pairing things down to the absolute essentials of character and claustrophobic location. The flashbacks to Australia work well because they don’t drag on. Sometimes flashbacks can ruin the pace and momentum of a movie and I tend to shy away from them a bit. But somehow they work well here. One other thing worthy of mention is the occasional switch to the German side of no man’s land. Whether it’s to see a guy work out the depth the Aussies are digging at due to the colour of the clay in a shot out sandbag or just a casual back and forth between two guys discussing their home towns. It’s important to get this side of the story but also worth having just for the balance it gives to the film. It’s good to see they’ve made them real people with real concerns and thoughts rather than the one eyed, goose stepping despotic stereotypes you normally see in these films. So, basically, I really like this film. The characters are realistic, it covers an element of the western front conflict not often mentioned, it’s well put together and well acted, it was knocked up on a relatively small budget and it has a real life story at its core. It’s the kind of film you don’t want to end. The ending seems to catch you a bit by surprise when you’re maybe expecting another 15 to 20 minutes of stuff to happen. But most of all, it’s the characters that make this film what it is. If you haven’t, you simply must see it. And that’s it. It’s taken a while but I’ve completed my time travel journey through 100 years of Great War Films. I’ve seen eleven films, some good, some not so much. A couple of silents, some pro, some anti-war. Covered various theatres of war and years from 1914 to 1918. It’s been fun. What has it taught me? I’ll save that for now, I’m thinking about pulling together my thoughts in a post on the evolution of Great War Films during the 20th Century so I’ll hold off on banging on anymore for now. Simply Clicky Clicky and find out for yourself how good this is. Next up, I don’t know. I think I might just do a few of the real classics of the genre. ‘All Quiet on the Western Front’, ‘Lawrence of Arabia’, ‘La Grande Illusion’, maybe even ‘The African Queen’. But I might pick a couple I’ve not seen before, there’s quite a few of those still. Either way, I’m sure it’ll be fun. Au Revoir mon amis.